Those of you who follow my Twitter feed and/or read The Age last Wednesday (20 November) may already know some of my thoughts on Melbourne’s newest tram, the E-Class, but I realize I haven’t formally shared them in one post. I’d like to change that. 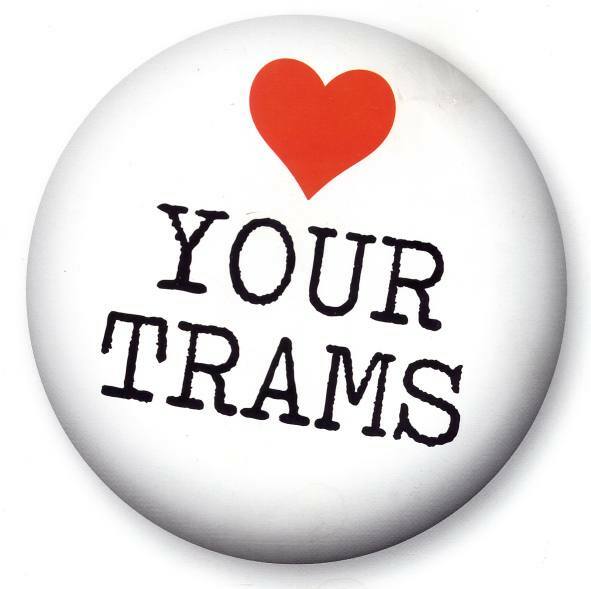 First off, in case there was any doubt about it, I love my trams. Part of the reason I’d like to talk about the E-Class in detail today is I think it’s only fair to Yarra Trams (the tram company here in Melbourne) to share the full story. So, I’ll start at the beginning. I first found out about the E-Class in mid-September, when I was scrambling to get ready for my arrival in Melbourne on 23 September. Originally, I was actually planning to take public transport from the airport to where I now live, but I decided at almost the last minute to hire a car instead. Less of a hassle after sixteen plus hours on a plane (actually, two). Nonetheless, back in the US, I was trying to learn as much as I could about Melbourne prior to departure, and part of that involved [attempting] to learn the public transport. The E-Class first caught my eye when it appeared on the PTV website with the phrase, “Our Newest Trams Are Not Taking Passengers While Under Testing” (or at least something similar to that). I thought it was stunning. I had never seen something that came close to matching the E-Class in the US. Well, maybe the Acela, but that’s our “hi-speed” train (it’s actually not that fast at all; sorry, Amtrak). Then it became November. With sightings of the E-Class almost a daily occurrence – without their test stickers and displays – I became hopeful that the new month would mark the arrival of the new tram. Turns out I was right, but early. I had to wait until 4 November to find Twitter going crazy. #EClass was trending. Yarra Trams was clearly up to something. First was the tease from the depot. Shortly after, it became obvious. The E-Class was about to launch. And at 8.30am, it finally did. I quickly pulled up as many live feeds as I could about the tram launch on my laptop. I found out that day that TramTracker was also on the web. It was in the form of an outdated system called WebPID, but it was accurate enough that I knew when to listen for the E-Class going by. In fact, it was really easy to do so because the system hadn’t been updated to include an image for the new tram (in fact, it even still displays Metlink instead of PTV). So, I had a mission. It was time to ride the tram. It took until 8.41pm that night, but I caught it. It was on 6002, so while not the first of the E-Class, it was good enough for me. And then the door broke, after just one stop. Luckily, the E-Class has five doors, so we continued on anyway. I was extremely impressed with how well the ride went: one broken door, no announcements, glitchy information displays, and a couple hard stops. That’s very good for something as heavily computerized as the E-Class. The controls for the E-Class reminded me a lot of a Tesla Model S, but instead of one large 14-inch touch screen, the E-Class has two, smaller touch screens. But, I was blown away. I’d never seen a tram controlled by a touch screen. Actually, I’d never seen any public transport vehicle driven by one (well, in this case, two). It was amazing. I had instantly fallen in love with the new tram, and I spent the next several days waiting up to 45 minutes just so I could be on an E-Class. On that note, Wednesday’s article incorrectly stated I had ridden the tram only twice. But, that is my fault. I had said I’d been on it a “couple” of times, which, yes, can mean two. The actual count now is at least twelve, following last Wednesday night’s ride on 6001 and Saturday’s (23 November) ride on 6002, which was just put back into service and running flawlessly. I’d now like to clarify on what issues I personally know the two trams have been having, and what I have heard. I can personally confirm that 6001 had an air conditioning problem, which seemed to be corrected the last time I rode it. However, 6 November was a very hot, very crowded ride home from work. The windows on the new tram do open, but only a small part at the top, which is locked. The driver that day did not unlock a single window, and it was much more comfortable outside the tram than inside. In addition, 6001 suffered from non-functional cameras and announcements in its first week. Those seem to have now been fixed, although the GPS for the announcements does run into trouble around Queen Street, and reports the tram is two to three stops farther than it actually is. The driver’s console does continue to display “Major Fault CCTV” on a regular basis, but as the drivers have been doing, it can be dismissed without any issue. Now, this next one is one I find very odd. Both 6001 and 6002 have previously had the status log on the driver’s console display low sand warnings, but they never caused the console to beep, signaling an error. On 6001 on the night of 20 November, the console continuously beeped to complain about low wiper fluid. Now, I know wiper fluid is important, but if that causes the console to angrily beep at the driver, I’m very surprised the sand does not, given that, personally, I’d think the sand is far more important. After all, the cameras on the tram don’t have wipers, and they can fog up in the rain, which is resolved via a heater around the camera. On it’s second day of service, 6001 had to be taken out of service because of completely non-functional cameras, which is extremely dangerous as the new trams do not have side-view mirrors like all other trams, with the exception of the C-Class (as far as I know). As for 6002, prior to being taken out of service for a week for repairs, it consistently had a door go out of service. Like 6001, it also suffers from low sand alerts and “Major Fault CCTV”. However, that is all I can personally confirm. As for what I’ve heard, I had received conflicting reports from Twitter that 6001 had a problem with its bogies. In layman’s terms, part of the wheels. Unlike the other trams, the E-Class features wheels that can turn, like those of a car. I think it is because of this, that the E-Class can be longer than both the D2-Class and C2-Class, and yet be made of only three compartments, rather than five. I can now confirm those reports were false. It was never a bogie issue, nor did one ever go through the floor. It was a loose turning plate, which is why it was taken out of service for two days. As Yarra Trams has already done, I can also confirm that one of the trams was involved in a collision, specifically 6002, which is why it was out of service for a week. It is now back in service was no signs of being in a collision. Sadly, it does have some vandalism though. However, despite everything I’ve just written, I stand by what I said on Wednesday: “I think it’s to be expected.” I’ve been working with computers since 1996, and I’ve never seen a new piece of technology have a flawless launch. As such, I would’ve been highly surprised if the E-Class wasn’t having teething problems. While I didn’t know just how computerized they are until my first ride, I still expected there to be issues, even after all the testing they had been through. Personally, I call the months of testing they underwent their “closed beta period.” Now that they are in passenger service, I consider them to be in their “open beta period.” I hope anyone who has tested something in a closed environment will agree with me that you simply can’t test for everything in a closed beta. Nor can you expect everything, like the driver’s side door coming open in the middle of travel on the light rail, causing an immediate – and rather rough – stop. And I’ll be honest, that one did hurt. If you’re on the E-Class and it has a sudden stop, well, I won’t lie: expect it to hurt. I’ve flown down the aisle despite holding on. I’ve whammed my head into the glass door to the driver’s compartment while seated in the front seat (which, by the way, has leg room equivalent to that of Economy Class on a plane.) I constantly see people holding on slide when the tram starts and stops. The brakes on the E-Class work fantastically, but they work too fantastically. Hard starts and stops are apparently normal, but the drivers are getting much better at making them smooth. Again, I love the E-Class. I think it’s a superb addition to the Yarra Trams fleet, and I feel that I am extremely fortunate to live and work along route 96. I am very much looking forward to the arrival of the next three in early 2014, hopefully before I return to the US to go back to my university. 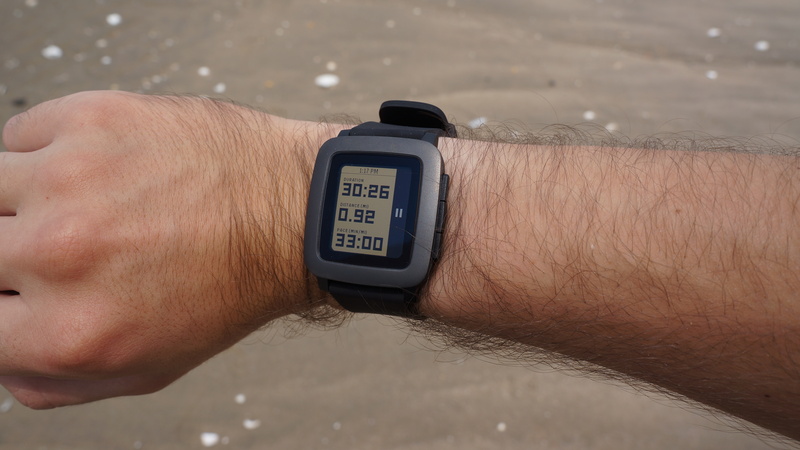 I’ve heard some news concerning 6003 that may delay that, but I will not repeat that news here. And yes, I do still happily wait 45 minutes at times, just so I can ride the E-Class. I think they are a huge improvement over the D-Class, thanks to the wheels being under the seats, like the C-Class. The E-Class could have plenty of seats if it wasn’t specifically designed to hold 154 standing passengers (maximum 210 passengers – 56 seats). But, I think the new Accessible Areas are much better than the old folding seats that were rarely vacated (by my observations anyway). To Bombardier and Yarra Trams, bravo. You really should be proud of the E-Class. It looks like something straight out of the future. Oh, and the horn is an excellent addition. In short, the E-Class isn’t just for everyone, it’s excellent. PS: If you want to see more pictures of the E-Class, I have a few more on Flickr. Are you enjoying the Time of Eve? Why yes, I am. Previous post Picture Post: Someone snuck Cartman into their office. Next post Picture Post: The Australian Government's thoughts on Oreimo because of "strong sexual themes." I can't disagree with that.